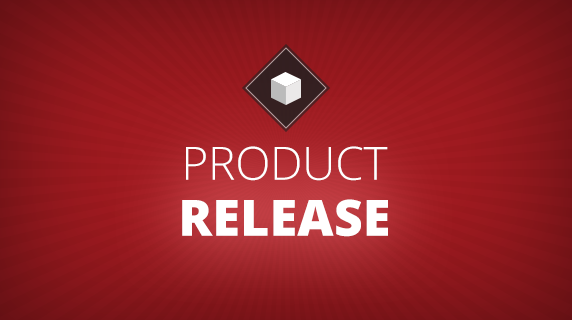 The Titanium Studio 1.0.7 Release Candidate features over 400 fixes and improvements. Front and center is our newly upgraded dashboard which will help diagnose Android and iOS configuration errors and ensure your SDKs are up-to-date with the latest requirements for the Titanium Mobile platform. The GA build is expected later this month. Go to the Help menu, and select Check for updates. You should see a new update posted. Follow the instructions in the dialogs. 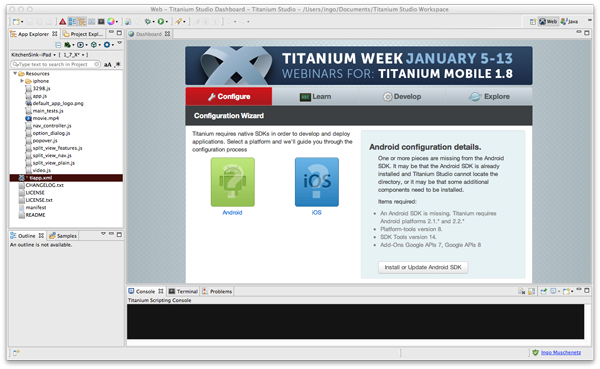 Titanium Studio 1.0.7 is required to get the most out of the newest version of the Titanium Mobile SDK, with added features like support for running your app in the V8 engine, and debugging against applications running on V8. If you’re a novice user, it will help you configure the Android and iOS SDKs. 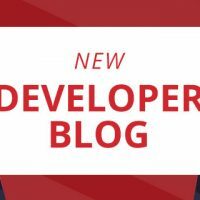 If you’re an experienced user, it will alert you if something changed in your configuration that requires attention, or you need to upgrade to a newer version of the SDK tooling. Two complete sets of introductory Titanium videos and quick links to important external resources. 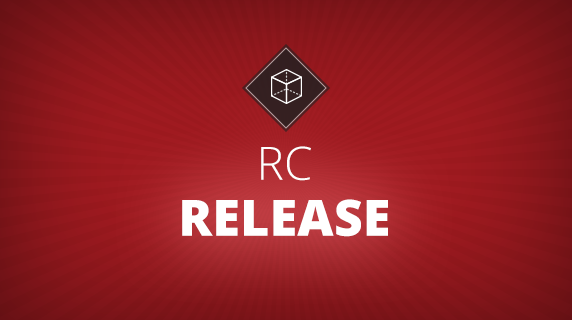 Easy access to included samples and pre-built templates for application development. In coming releases, you’ll see additional content demonstrating best-practices to get your apps started on the right foot. See the latest modules available in the marketplace. See the dashboard documentation for more information. Speaking of modules, Titanium Studio includes wizards to get you developing new iOS and Android modules in no time. Just try File > New Titanium Mobile Module Project. Read more about the feature. The venerable Kitchen Sink project can be an interesting demonstration of the capabilities of the Titanium platform, but it’s not the easiest reference guide when developing. To make this simpler, we’ve added a host of snippets drawn from common use cases inside the Kitchen Sink project. Check them out via the Commands menu, by choosing “Titanium Mobile” and the list of snippets available there. Many of them can be inserted using just a single phrase + the tab key. 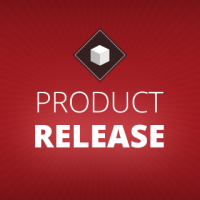 For more information, you can review the the full Titanium Studio 1.0.7 release notes here. To further improve the developer experience, we will also be publishing an updated set of samples and templates into a beta stream in the coming days. 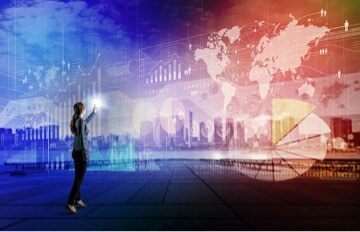 The intention is not only to give easier starting points for new application development, but also samples that demonstrate these principles and best practices.